Dr. Paulo Pinho has been a well-known dental surgeon across Australia for his experience and expertise in wisdom teeth removal. His dental clinic in Sydney now offers the safest and affordable wisdom teeth removal service. The maximum price you will have to pay for a wisdom teeth removal in Sydney now would be $970. The final price of your wisdom tooth removal is always determined by the complexity of the surgery and other procedures like bone removal, tooth division or raising flaps. We offer a complete consultation and examination before putting our quote. 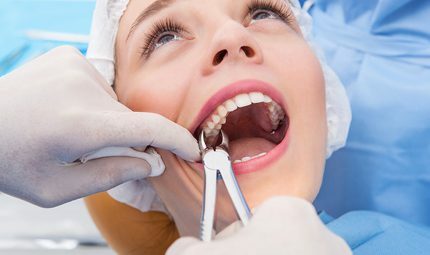 Complex surgical wisdom tooth removals are performed under anaesthesia and other kinds of sedation techniques such that it would be a painless process at your end. Depending on the type of anaesthesia you would be willing to undertake, there may be additional fees to the surgery cost. However, be sure that our processes are the best and cheapest when it comes to wisdom tooth removal in Sydney. We also entertain health and dental insurance that will cover your wisdom tooth removal costs. Medicare insurance too takes care of part of the fees. Dr PauloPinho.com.au to book Dental Implant Consultations or Wisdom Teeth removal online. Why Consider Sydney Wisdom Teeth Removal in the First Place? Wisdom teeth are the final set of teeth that develop just before achieving adulthood. You might face issues while they come through, due to insufficient space. By using X-rays, we can determine if they need to be extracted to avoid any future problems for neighbouring teeth and overall dental health. Our dentist who’s an expert in wisdom teeth removal in Sydney will take your age into consideration and carefully assess your mouth’s shape and positioning of the new teeth to determine if it’s right to remove them and the wisdom teeth removal cost in Sydney. We can administer you local anaesthesia to perform the wisdom teeth removal in Sydney. In other words, you shall stay conscious during the removal process while the area surrounding the wisdom teeth will remain numb. In addition, sedatives can also be given besides local anaesthesia to help you stay comfortable during the procedure. In some cases, general anaesthesia is given to remove the wisdom teeth. In such instance, you will be asleep during the Sydney wisdom teeth removal process. Our dentist determines the Wisdom teeth removal cost in Sydney according the range of complexity that each tooth requires to be removed. As you can see from the above table, the cost does vary, and it’s decided during the first visit with our expert dentist. However, you can be rest assured, we present the most affordable and cheap removal plans in the whole of Sydney. It’s as low as $125 and no higher than $375 per tooth. <p”>Visit our dentist if you have any pain or bleeding issues after the wisdom teeth removal in Sydney. Here at No Gap Dentists we set our main goals to be high quality service at affordable fees to reach as many patients as possible in need for dental heath. We quickly identified a real problem in Australia: the high cost of dentistry mean patients avoid having vital dental work. So we set out to find a way to provide a low-cost, high-quality dental service.